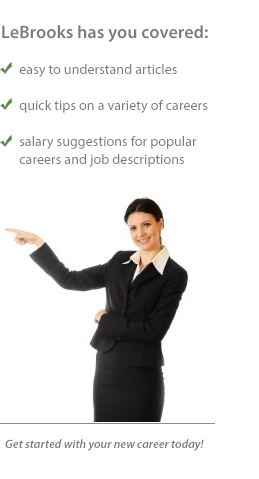 When selecting a career, you need to consider many things. More importantly, it is advisable to select a career that you are passionate about. Passion makes people enjoy their work and they end up producing impressive results. Health care is the fastest growing job sector in the workforce. Statistics by the U.S labor department shows that health care is the fastest growing occupation in the entire market. Therefore, when you pursue a career in this sector, it will be much easier for you to secure a job. The following are some of the top reasons to choose a healthcare career. Dive in to know. Unlike other industries, the healthcare field is growing rapidly. This means there will always be a job for you. Other industries are losing workers because of technological advancements. They prefer using modern equipment in doing their job and fewer people are required to work in those industries. On the other hand, the health sector will always require human labor. This explains why the health careers have excellent job prospects and you will never have trouble finding a job. Health care workers have a great pay because it is a growing industry. So, this career offers job security not only to doctors but to other people who work in this industry. Moreover, the workers have extended health care benefits and a great pension plan. When you venture into this career, you will never get disappointments. You can explore Healthcaresalariesguide.com and get to know about the salaries of different sections of medical field. There are several healthcare jobs available. It does not matter your education level or experience but you will finally get a job in this sector. Apparently, this field is expansive and there are jobs in the medical coder, medical records technician, health information manager and medical secretary. There is no way you are going to miss a job in this sector. If you venture into this sector, it is easier for you to move up and grow in your career. Depending on your work record, you can be promoted to related healthcare field that pays you more money. Every person desires to get promoted in their place of work. You will get that opportunity in a healthcare career. It is the perhaps the biggest benefit why you need to pursue this career. Whether you work as health service administrators, nurse, nurse aid, an acupuncturist or a veterinarian, you will be assisting in making our world healthier. The world will be better and safer. Health is a critical component of the human race and each person would like to have quality health. You, therefore, have the greatest platform to touch people live. Well, the great thing is, you can work and live anywhere you want. Every region in the world has a high demand for healthcare professionals. When you are a trained health worker, your services will be in demand in all these regions. Therefore, you have the freedom of choosing where you want to live and work.